An automotive industry leader for a combined 30 years, A-Plus Automotive is a large full-service facility. 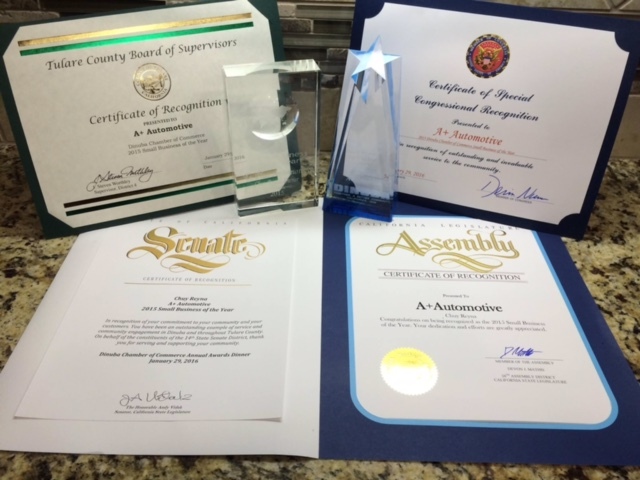 A-Plus Automotive offers comprehensive automotive service and repair! The goal of the A-Plus Automotive team is to increase vehicle reliability and decrease customer cost through comprehensive vehicle maintenance planning. A-Plus Automotive employs ASE Certified Master Technicians who are constantly training to keep up to date with the most current technology and innovations in the field. 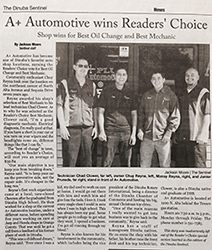 A-Plus Automotive has highly trained and knowledgeable staff, ready and eager to serve you. Chuy and his family are thankful for the opportunities and support that they have received over the years from the local community. A-Plus Automotive is proud to sponsor many local youth sports and education projects, as well as community service organizations. A-Plus Automotive appreciates the opportunity to serve and support the community, inspire the local youth, and promote continuing education. 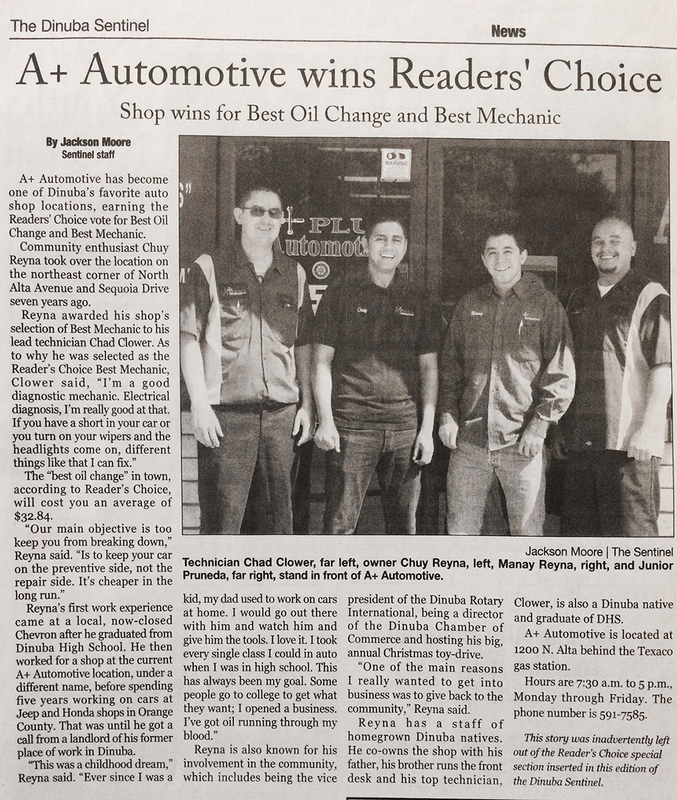 Voted Best Oil Change and Mechanic in Dinuba!